Today, during a trailer for the upcoming film, Pokemon: Everyone’s Story, the world was given an official look at the final Gen VII Pokemon, Zeraora. At the moment, not much is known about Zeraora other than the fact that it will be pure Electric and fill up the #807 slot in the Pokedex. 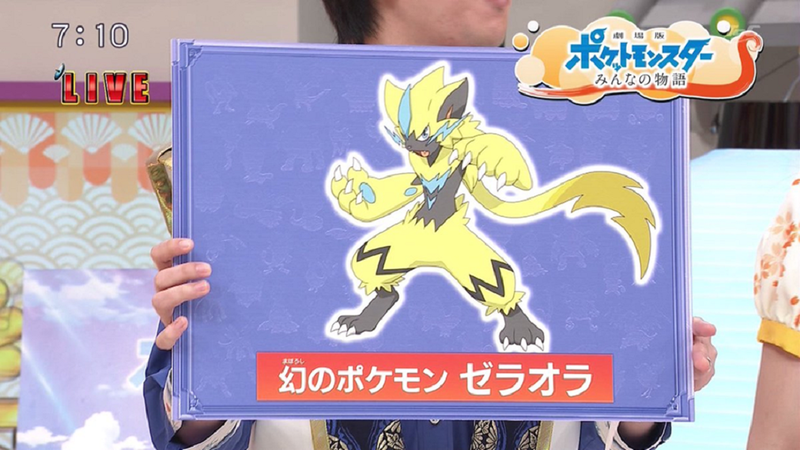 Zeraora will also be appearing in Pokemon: Everyone’s Story, similar to past Pokemon and will most likely be available during its theatrical release for Pokemon Sun & Moon and Pokemon Ultra Sun & Ultra Moon. According to Serebii, more information on Zeraora will be revealed during the next Oha Suta episode on Thursday, April 12th. Still haven’t read mine and Kay’s review on Pokemon Ultra Sun & Ultra Moon? Check it out here.